Recently it was suggested to forbid carrying all religious signs in the Bosnian courts. In the connection with that, I am following a 'lament" over « the Hijab » ("mahrama", headscarf) for days and cannot believe to which extent the totallitarism started governing in Bosnia (especially Sarajevo), and to which degree the woman's hair became the main enemy against freedom and democracy, to which measure those ladies hiding their hair started ruling this newly folkloric society, and how much primitivism succeeded to force their prescriptions, their « democracy » and their concept of faith and religion (without real understanding), to which level the primitivism and a lack of knowledge cause a fire to all those who do not accept their rules (which are arrogantly by principle of opposite logic called the democratic ones). For days, those "democrats" are calling me a “fashion fashista from the West", because I am against "Hijab", that "every Muslim's duty". That is why I would like to point out and strongly underline that "Hijab" does not have any connection with a headscarf, especially the way it is being wrapped around the head these days. The expression “Hijab" in Quran means “the veil hiding God"; in another words one can never see and get to know God, because our intellect is too weak for it. This is a well-known fact to all teachers (Hodjas) who work in religious schools -"Madressa" in Bosnia, but why they do not say it openly so? Is it convenient for them that a female person stays as an inferior human being to them? When I was studying Sufism, I myself respected that rule when going to the tekke pf Sinan Agha of Sarajevo. After all, one sincere and poetic explanation for hiding women's hair was given to me by the rare Islamic democrat and authority, the former Sheikh at Sinan's tekke, Fejzulah Hadzibajric: "When Angels came down from the sky they got lost in women's hair, that's why it has to be hidden". But what are Angels, or where they are? Most probably they too deserted, or are exiled from today's « neophyte society » giving a space to Iblis (and Sotona). Is there a chance nowadays that the Bosnian women go further away from those Middle Age darkness from their own deliberate choice to be a slave to a totalitarian male? I am afraid there is no chance for it to happen. Talking about this phenomenon it is important to say that (in this case in the most radical shapes of religion and Islam) it is a manipulation of broad people joined with foreign currencies, i.e. Saudi Arabic "dukats". It is a well-known fact that today's Islam is imported directly from Saudi Arabia and that Wahabi and Salafits have more and more success in the whole world in general, so in Bosnia too. Sarajevo is looking today less like some democratic European secular city, and more looks like a Bedouin village in the middle of a dessert, where a woman is a priori excluded from society and whose primary role is to give a birth to males. First Karadzic and Milosevic opened the door to this foreign Islam in Bosnia by ethnic cleansing (during the war 1992-1995), and after them Izetbegovic with his ambivalent relationship with the state and his weakness towards the extreme Islam and Muslim country money. Further, it is well known that the first sign of the extreme Islam- Wahabism and Salafism – is headscarf ("mahrama") , which is wrongly called "Hidjab' ; after that the other symbols come easy such as "Niqab" (wrapping of women in total black clothes), than male short beards plus short trousers, next to expect would be the excision or clitorydectomia in women, suppression of music and paintings (which is a « haram » in Islam), than closing of public schools, burning books and the accepting completely the macabre ideology of the Daesh. This ideology is glorifying death, submission to a male Muslim and hatred towards West. Although there are many reasons for which West could be criticized and regardless how much it is responsibility of the "black Islam", it can be concluded that still much more rights exist at West than in other countries. Long time ago it was said by Churchill: « Democracy is not good, but there is nothing better than that ». If we can further comment that Muslim in western countries - for ex. in France - were humiliated, why this radical Islam is gaining more and more success in Bosnia? Why it is not possible to say anything against such Islam? How come that these foreigners from Saudi Arabia have such a power at Balkans? What is typical for western countries, it is a hypocrisy in connection with those questions. In Bosnia, this hypocrisy is caused by fear. It is very symptomatic that many Bosnian women who do not agree wearing headscarf, Hijab, ("mahrama"), even more so with this religious exhibitionism at public places (schools, courts etc.) do not have a courage to express their opinion publicly. Yes, those big believers and those satellite followers became so powerful and aggressive that everybody else pertaining a different opinion is being called fascist, non tolerant or scary person. That is being known as a reverse logic or paranoia. We have already seen that before and during the aggression on Bosnia in the 90th, when it was not possible to say anything against extreme Serbs, because you would be labelled as Serbs enemy. The situation is very similar, except that now we have more and more extreme Muslims who are being identified by all those who do not believe to be extreme, but accusing the others of the same. Christians are scared of not being called "Islamophobic" and they are silent. Therefore the slavery to a primitive male, mafia guy or corrupted leaders is being spread in Bosnia. Is it necessary to quote the famous writer who said that the tolerance against non tolerance equals a crime? The Bosnian society should have decided about the existence of Sharia (in which case almost all politicians should lose both arms), or of a real secular country where finally religion would be separated from the state and consequently all religious signs would be removed from public places. 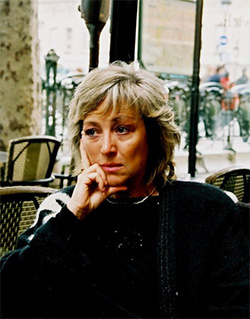 Jasna Samic Specialist of Oriental languages and civilizations, Jasna Samic taught at the Universities of Sarajevo and Strasbourg, was a Director of research associate to CNRS. She is author of many books written in Bosnian and French.